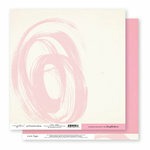 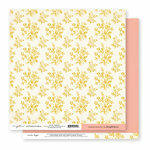 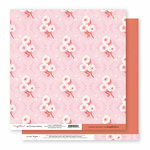 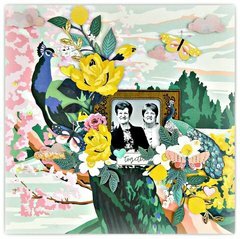 Your mind will be swirling with ideas of what you can create with the Jardin 12" x 12" Double Sided Paper by Crate Paper. 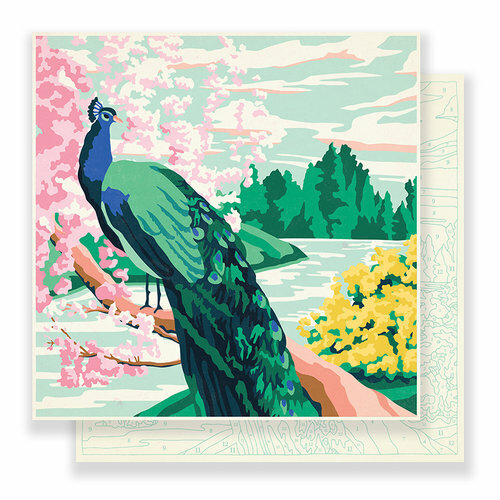 There is a peacock featured on the front side of the paper and a scenery color by number design on the back. 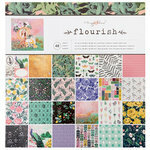 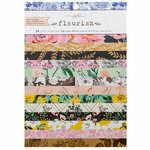 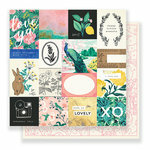 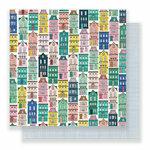 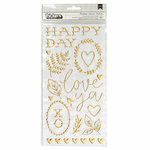 Included in the package is one sheet of paper designed by Maggie Holmes for the Flourish Collection. 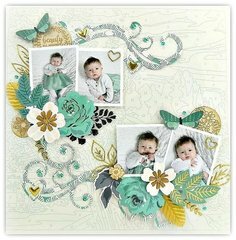 I like 99% of the paper designs and all the extras. 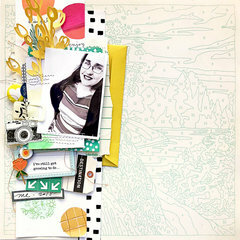 i really went crazy. Peacock is breathtaking.